Although they only have two full-length releases, one demo and an EP, Lycanthia have been around since 1996 and are among the last long-standing metal bands of their kind in Australia. The group are made up of six members; a bassist/vocalist, a violinist/vocalist, a keyboardist/vocalist, a drummer and two guitarists. 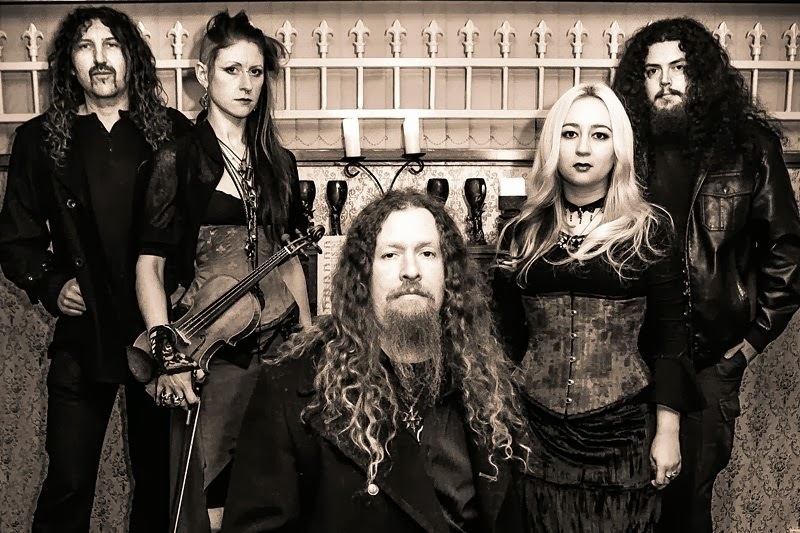 During their time, Lycanthia have seen numerous additions and subtractions in their line-up, making it almost impossible to keep a straight 'who's who' tab on them. However at this point their original bassist and male vocalist, Lee Tassaker, remains among the newcomers and late entrants into the group's roster; as well, recently original drummer Lachlan Donaldson has rejoined the ranks, although he did not contribute to their second full-length album, Oligarchy. The word "oligarchy" is defined as a form of government in which all power is vested in a few persons or in a dominate class or clique, a state or organization so ruled and the persons or class so ruling. This definition is definitive of the lyrics found on the album, which are rich and compelling. Lyrically, the track that stands out the most is "The Essential Components of Misery", which is a hard hitting eye opener that delves into the technologically advanced state of the current world, how our existence is being reshaped due to this and how blind the masses are to the potential threat of our humanity being stripped away. This is just the beginning in a series of breathtaking lyrics that come straight from the hearts of the musicians at hand. It's incredibly refreshing, a relief actually, to hear a real violin at work. Vanessa Black showcases her proficiency with her violin in an elegant manner across all tracks of the album and even steals the spotlight during the instrumental song "Eternity..." with a heartfelt cascade of notes that dance along a light acoustic guitar. In the bigger picture, the violin enriches the dramatic, destitute, gothic mood of the material during imperative structural moments. Alongside her is keyboardist Megan Tassaker, whose subtle pianos and synths work mostly behind the scenes to create a cold, dynamic atmosphere in each track; however, at times her keyboards could use a slight audio boost on the mix as they tend to get lost within the guitars and drums. Both of these ladies also serve as vocalists on the album, alongside Megan's husband Lee. 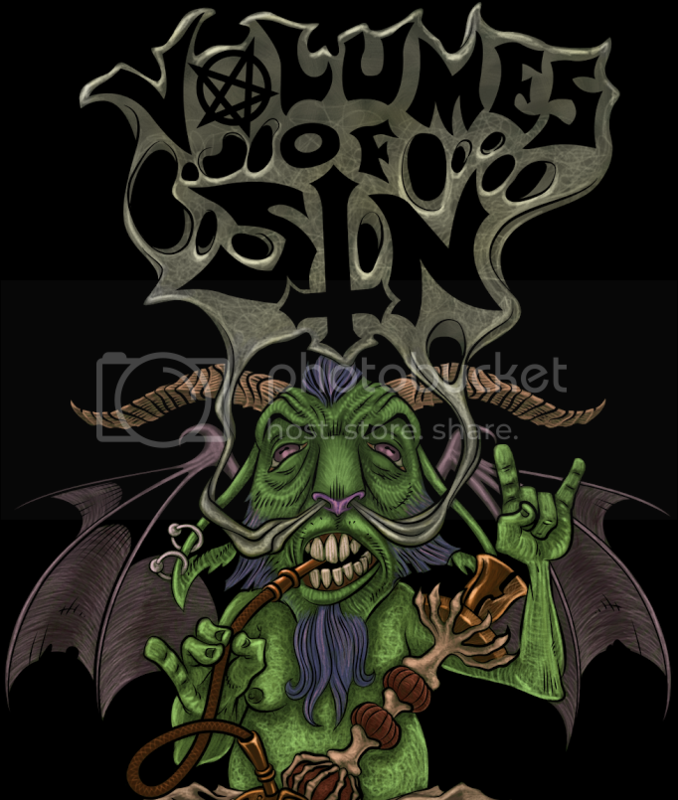 Lee's deep vocals are done entirely in death metal styled growls, while both Vanessa and Megan blend their clean vocals together into dual melodious harmonies. Generally it's either one or both girls singing, or Lee, but sometimes the triad sing together. When this vocal structure takes place the harsh growls take a backseat and sing alternate lyrics while the ladies' vocal tracks are up at the front of the mix, singing the same words in unison, such as in "The Essential Components of Misery" and "Ablaze the Wheel Turns"; this feature gives a great contrast between the two styles, as well as it provides a new spectrum of depth into the audio. To negate some of the predictability that this can bring, Lycanthia switch up the composure roles in "Hair of the Beast" and "From Ancestral Lands", where Lee's vocals are the main focus instead. All three vocalists get their fair share of airtime and the album isn't left feeling one sided due to one set of vocals being utilized more than the other. In terms of innovation or creativity, the drums don't provide an incredibly memorable experience in their performance; however, their presence is strong and they carry a large portion of Oligarchy through both composition and how high up they sit on the mix. Quite often the drums take away from the guitars, which is problematic due to their simplistic and sometimes repetitive nature. 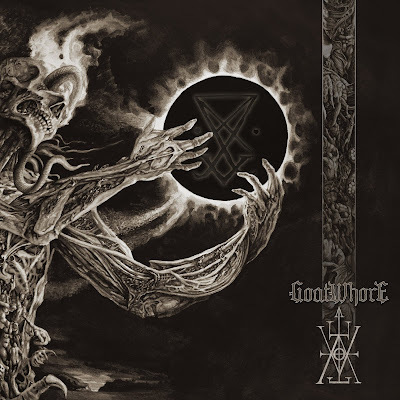 Although they can carry their weight through heavier songs like "Time Feeds This Wound" and "Hair of the Beast", which are the most doom inspired tracks on the album, they only do so due to amplified double bass kicks. This is the only real area that needs improvement overall. Both guitars have a decent distortion to them, while the rhythm guitar is laden with fuzz and gain the lead guitar takes on a slightly more clean tone while still retaining some grit. Acoustics also snake their way into various tracks which brings out the group's folk influence every now and then. Another unique mystery to the content are the occasional bouts of heavy reverb and clean distortion that one of the guitarists takes on, this is a long lost trait in modern metal and is well received in this material. The mix of discordant picking and gruff palm muted riffs cause as much of a contrast as the vocals, providing another element of depth in the material. Rarely, if ever, will the listener hear any of these combined elements playing simultaneously; generally one guitar or the other is playing along with the drums, being backed by either the violin or keyboards and at most three vocalists. This ensures that the audio is never subjected to obstructive clutter and allows the audience to pick up each sound individually, infusing them with a deep sense of appreciation for the performance of the musicians both as solo artists and as a band. The overall compositions are typically light in nature throughout this album and the tempos only change slightly and tactfully; at no time are there any abrupt changes. As stated before, the heaviest songs on Oligarchy will be "Time Feeds This Wound" and "Hair of the Beast" which have a very defined sludge/doom metal sound to them. The rest of the tracks are very gothic and full of desolate atmosphere that will chill the listener to the very core. "The Essential Components of Misery" is easily the strongest song lyrically, and "Despondency in Crescendo" is the longest track, finishing at just over ten minutes, as well as the track that is the most structurally compelling. 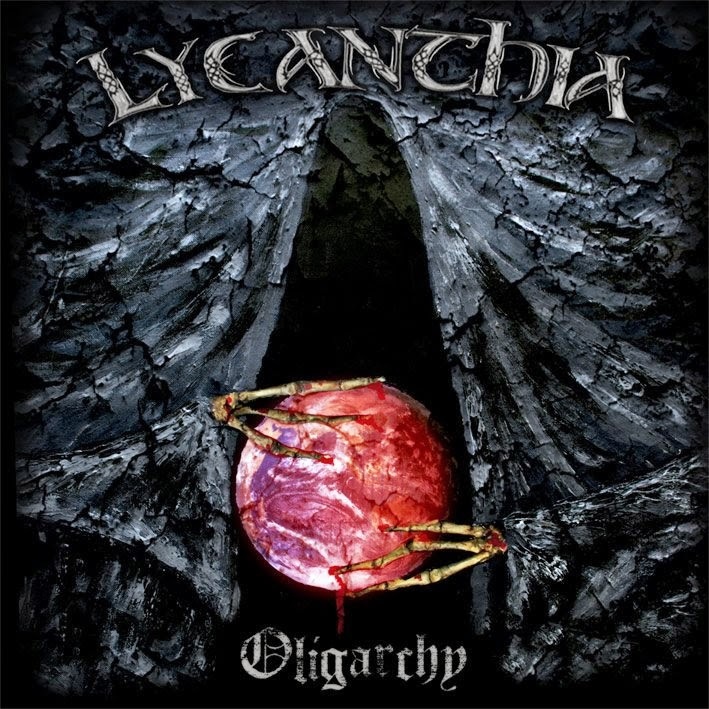 Lycanthia definitely have a diamond in the rough up their sleeve with Oligarchy and it's a must hear for any fans of the genres mentioned in this review.